Our Casa was recently graced with a very special presence. 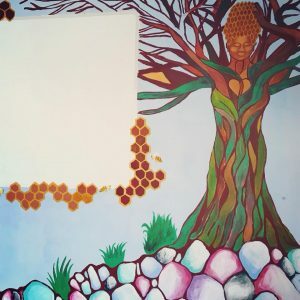 Rebecca Schisler, who is an artist, mindfulness educator, and youth mentor, brought a group of 30 energetic and talented teens from France into our space and they created magic. 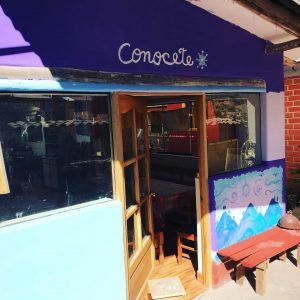 The volunteers and our Niños worked together to cover large swathes of bare concrete with magical patterns and colors, completely transforming our space. 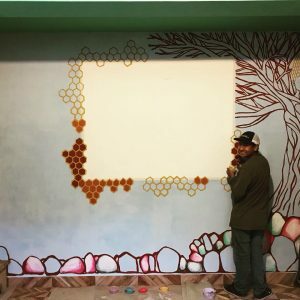 It was an intense time of creativity and joy for the kids, and the group literally left their mark on our home. 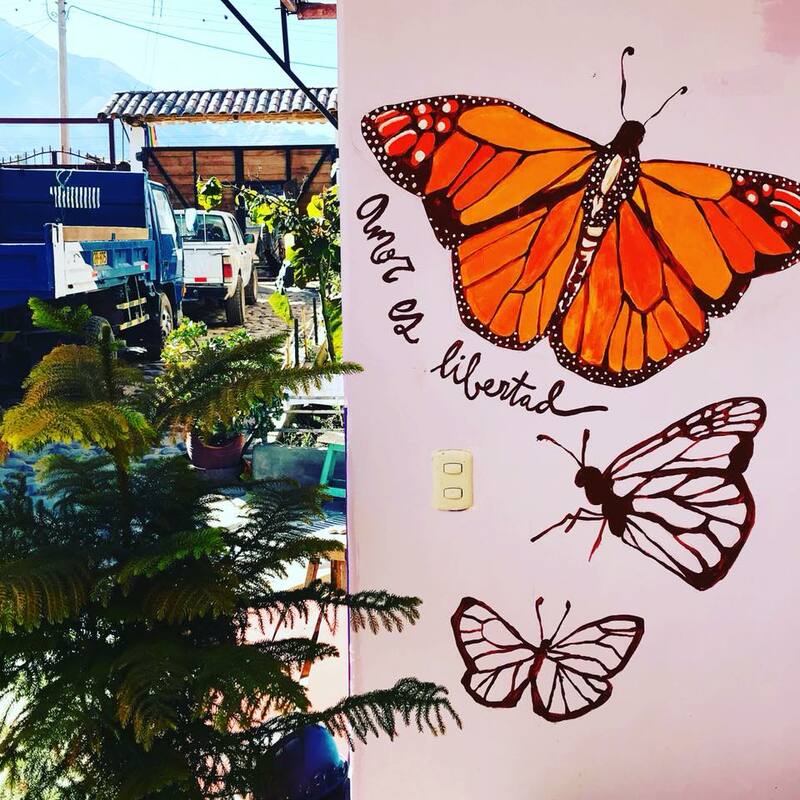 Our new entryway design features monarch butterflies and the phrase “Amor es libertad,” or Love is Liberty. 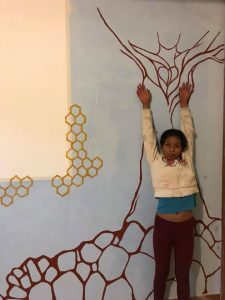 The painter in the photo is Zenobia, who is currently studying to become a pastry chef. The organic forms and bright colors will add so much life to the space. Our youngest, Soledad, is definitely growing like a tree these days! 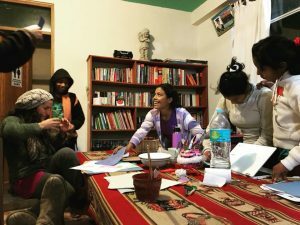 The girl with the radiant smile is Sol’s sister, Marlitt, who just joined the Casa in January. 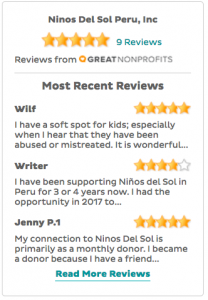 She seems to be enjoying the joyful, creative spirit of Niños Del Sol and our many friends! 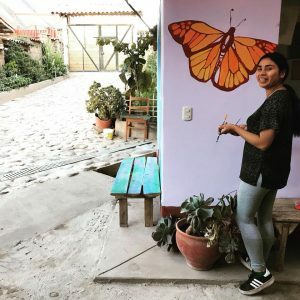 José Luis, who studies Graphic Design at Cusco University and works part-time editing video for a drone company, is definitely a Niños Del Sol success story. He always wears a beautiful smile, too. 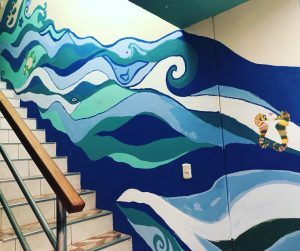 Our staircase has been transformed into a sea fantasy!